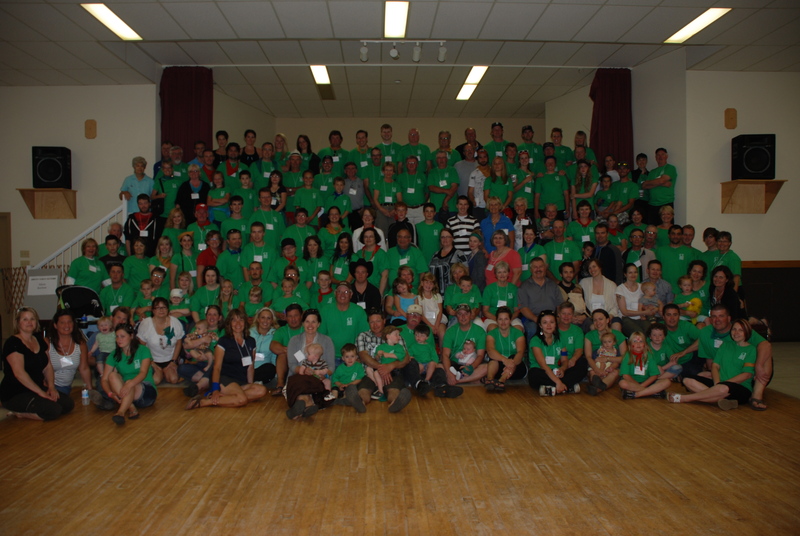 Group photo from the 2011 Convey reunion. Nice of everyone to dress in Rider green for the Saskatchewan cousins (hee hee). The above photo will remind you of the fun we had at the last reunion in 2011. Registration is now open. See the Buy Tickets section of this website for details. Have you attended a Convey reunion before?